We offer high quality hydraulic C frame presses with pressing capacity of up to 25 tons. We are engaged in providing superior quality Hydro-Pneumatic Presses. These Hydro-Pneumatic Presses are made from high quality of raw material which ensure durability at its user end. Ace Automation Engineers established in 1992, design and manufacture Hydraulic and Pneumatic Equipment for a wide range of applications and industries. Hydraulic Power Pack & Cylinders. 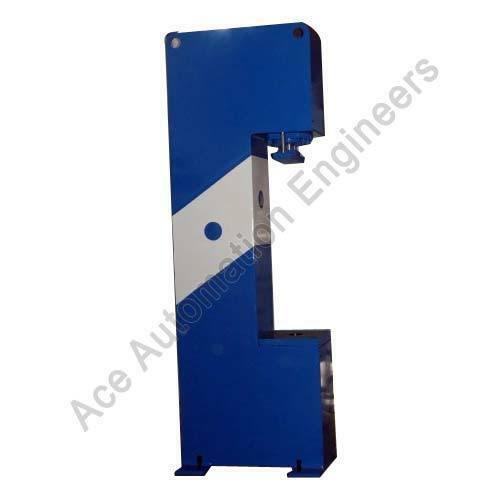 Ace is well established in Design & Manufacturing Expertise in the Custom Made Equipment segment, we offer world class technology and quality at an affordable price.